After Tom Hardy’s riveting performance as Bane in Christopher Nolan’s The Dark Knight Rises, he’s been cast as Sam Fisher in the film adaptation of Splinter Cell. It looks like video games is making a comeback in movies, since after all, Assassin’s Creed is in production with its own film with Michael Fassbender. 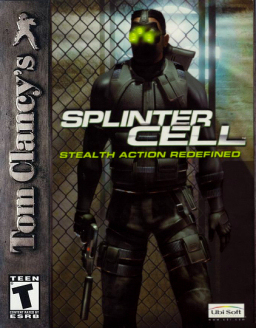 Sam Fisher is a former Navy SEAL-turned-field-agent. Other than that, I must admit I don’t know much about Splinter Cell since I’m not a gamer, but I know enough that Tom Clancy’s franchise has a lot of material the production can pull from. Casting Tom Hardy in the film will pique the interest of non-gamers like me — and it certainly doesn’t hurt that Hardy is an incredible and versatile actor.